Typhoon Haiyan, one of the most powerful typhoons ever recorded, has left a path of death and destruction, with hundreds of thousands left without homes, power or clean water. The worst-hit areas are impossible to reach by road, and many communities have no means of making contact with the rest of the country. 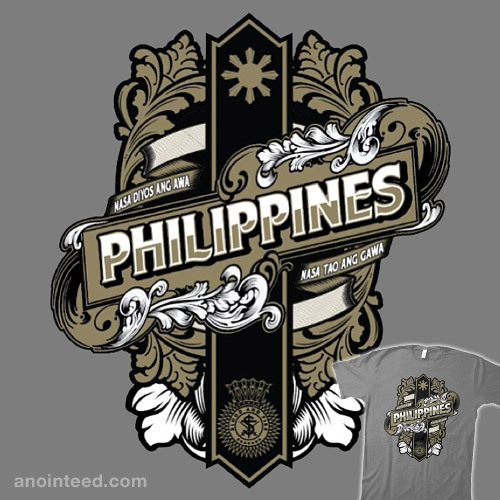 100% of the proceeds of the ‘Army for the Philippines’ Tee, designed by legend Hydro74, with the words “Mercy resides in God, deeds in men” in Tagalog will help The Salvation Army help those affected by Typhoon Haiyan.